Michael Ledeen is a neoconservative writer at the Foundation for Defense of Democracies (FDD) known for his extravagant claims about Middle East affairs and pushing U.S. overseas military intervention. He has called for waging a global war against “Islamofascists,” argues that jihadists and former communists are in an alliance against the United States, and once claimed that while in office President Barack Obama supported America’s enemies. Ledeen, who styles himself a “democratic revolutionary,” champions policies that are in line with the Israeli right-wing and is perhaps best known for his hawkish views on Iran. Ledeen has also sought to link the Islamic State (or ISIS) with Iran. In an August 2014 piece written for Pajamas Media, Ledeen claimed: “It seems that Iran gave ISIS support, in keeping with its well-documented practice of supporting all sides in other countries’ internal conflicts.” He went on to describe Iran as being in “cahoots with ISIS,” whom he described as “perfect clients” for the Iranians. Ledeen has supported a passel of letterhead groups that emerged after 9/11 to promote regime change in the Middle East. Together with Morris Amitay, a former lobbyist for the American Israel Public Affairs Committee, in 2003 Ledeen created the Coalition for Democracy in Iran (CDI), which until it disbanded in 2005 supported regime-change efforts in Iran and pushed a number of legislative proposals aimed at isolating the country. Among CDI’s influential members and supporters were Frank Gaffney, head of the hardline Center for Security Policy; Joshua Muravchik, an AEI scholar who has helped shape the neoconservative agenda; and former CIA director James Woolsey. Ledeen also supported the now-inactive U.S. Committee for a Free Lebanon, an organization created by U.S.-based Lebanese banker Ziad Abdelnour that pushed a hardline stance on Syria. As a consultant to the National Security Council in the 1980s, in the early stages of the Iran-Contra affair Ledeen acted as a go-between for the Reagan administration and the Israeli spy David Kimche to gain the release of U.S. hostages in Beirut through an Iranian arms dealer, Manucher Ghorbanifar. According to official investigations into the Iran-contra scandal, Ledeen helped initiate the effort to use Israeli contacts to pursue an arms for hostages deal with Iran. In addition to his personal blog, Ledeen also contributes to the National Review Online and infrequently to the Wall Street Journal’s opinion page. His books include The Iranian Time Bomb: The Mullah Zealots’ Quest for Destruction (2007); The War Against the Terror Masters (2002); Tocqueville on American Character (2000); Freedom Betrayed: How America Led a Global Democratic Revolution, Won the Cold War, and Walked Away (1996); and Perilous Statecraft: An Insider’s Account of the Iran-Contra Affair (1988). See, for instance, his 2016 book, co-authored with retired Lt. Gen. Michael Flynn, The Field of Fight: How We Can Win the Global War against Radical Islam and Its Allies, http://us.macmillan.com/thefieldoffight/lieutenantgeneralretmichaeltflynn/9781250106223. Larisa Alexandrovna, “Conversation with Machiavelli’s Ghost: Controversial Neoconservative Ledeen Talks to Raw Story,” February 26, 2006. Ted Cruz 2016, Jewish Leadership Coalition, https://www.tedcruz.org/news/jewish-leaders-endorse-ted-cruz-for-president/. [v5] Michael Ledeen, “Letter to my European Friends,” PJ Media, November 1, 2012, http://pjmedia.com/michaelledeen/2012/11/01/letter-to-my-european-friends/. Michael Ledeen, “The Global War,” September 13, 2014,http://pjmedia.com/michaelledeen/2012/09/13/the-global-war/. Brian Tashman, “Michael Ledeen: Obama Won’t Condemn Radical Islam Because He Supports ‘The Other Side,’” Right Wing Watch, January 13, 2015,http://www.rightwingwatch.org/content/michael-ledeen-obama-wont-condemn-radical-islam-because-he-supports-other-side. Michael Ledeen, “We Have Met the Enemy . . .” Weekly Standard, October 20, 2009. Michael Ledeen, “Who Are These ISIS Guys and Why is Obama Willing to Bomb Them? Pajamas Media, August 7, 2014,http://pjmedia.com/michaelledeen/2014/08/07/who-is-isis/. Michael Ledeen, “Dare we say it? The Mullahs must go,” The Tower, December 2013, http://www.thetower.org/article/dare-say-mullahs-must-go/. Chris Rossini, “Michael Ledeen: A Deal With Iran is Not Enough,” Ron Paul Institute, July 10, 2014,http://www.ronpaulinstitute.org/archives/neocon-watch/2014/july/10/michael-ledeen-a-deal-with-iran-is-not-enough/. 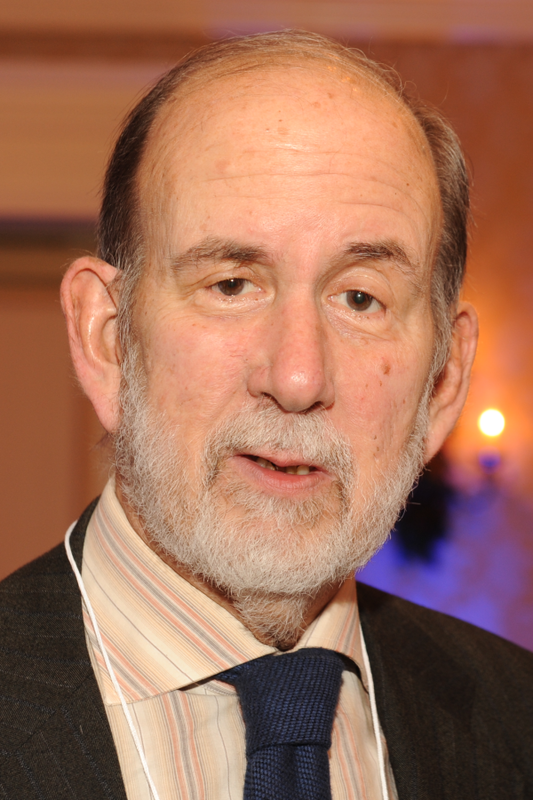 Michael Ledeen, “How to Defeat the Grand Bargain with Iran,” Foundation for Defense of Democracies, July 27, 2015,http://www.defenddemocracy.org/media-hit/michael-ledeen-how-to-defeat-the-grand-bargain-with-iran/. Michael Ledeen, “Back from Alaska,” Faster, Please! Pajamas Media, August 7, 2008, http://pajamasmedia.com/michaelledeen/2008/08/07/back-from-alaska/. Jim Lobe, “The Ledeen Move,” Lobelog, August 25, 2008,http://www.ips.org/blog/jimlobe/?p=182#more-182. Thomas Edsall and Dana Milbank, “White Hose’s Roving Eye for Politics,” Washington Post, March 10, 2003. 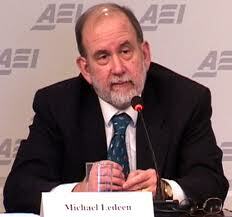 William Beeman, “Michael Ledeen: Neoconservative Guru,” May 9, 2003, http://www.lebanonwire.com/0305/03050914DS.asp. Michael Ledeen, “Time to Focus on Iran – The Mother of Modern Terrorism,” JINSA Policy Forum, May 6, 2003, http://web.archive.org/web/20080205103132/http://www.jinsa.org/articles/articles.html/function/view/categoryid/1930/documentid/2012/history/3,648,1930,2012. Michael Ledeen, “Did Condoleezza Rice Try to Make a Secret Deal With the Mullahs?” National Review Online, April 25, 2007. Testimony of Michael A. Ledeen, “U.S. Policy Toward Iran—The Next Steps,” House Committee on International Relations, March 8, 2006. Michael A. Ledeen, The Iranian Time Bomb: The Mullah Zealots’ Quest for Destruction (New York: Truman Talley Books, 2007), p. 15. Michael A. Ledeen, The Iranian Time Bomb: The Mullah Zealots’ Quest for Destruction (New York: Truman Talley Books, 2007), p. 18. Andrew C. McCarthy, “No More Illusions,” National Review Online, September 4, 1007. Michael Ledeen, “The New Axis of Evil,” Foundation for Defense of Democracies, October 11, 2015, http://www.defenddemocracy.org/media-hit/michael-ledeen-the-new-axis-of-evil/. Jonah Goldberg, “Baghdad Delenda Est, Part Two,” National Review Online, April 23, 2002. Alex Harrowell, “The Revolution is Over,” August 14, 2008, A Fistful of Euros, August 14, 2008, http://fistfulofeuros.net/afoe/europe-and-the-world/the-revolution-is-over/. Jim Lobe, “Veteran Neocon Adviser Moves on Iran,” Inter Press Service, June 26, 2003. Michael Ledeen, The War Against the Terror Masters (New York: St. Martin’s Press, 2002), page xxii. Michael Ledeen, “Unpunished Failure,” National Review Online, November 3, 2003. Cited in Jim Lobe, “Veteran Neocon Adviser Moves on Iran,” Inter Press Service, June 26, 2003. Michael A. Ledeen, Machiavelli on Modern Leadership: Why Machiavelli’s Iron Rules Are As Timely and Important Today As Five Centuries Ago (New York: Truman Talley Books, 1999). Quoted in Jackson Lears, “Keeping It Real,” Nation, June 12, 2006. Jim Lobe, ” Bush and Hawks Try Pre-Emptive Strike Vs. Iran Vote,” Inter Press Service, June 20, 2005. For more on Pazienza and his affiliation with Ledeen, see Wolfgang Achntner and Tony Barber, “Search for a Plot to Kill the Pope; Who Put the Gun in Agca’s Hand?” The Independent, May 19, 1991; and Ruth Gruber, “Bizarre Complexities of Bombing to Unfold in Italian Courtroom,” St. Petersburg Times, March 1, 1987. Ruth Gruber, “20 Face Trial in 1980 Massacre Italy Believes Blast Part of Plot,” Toronto Star, March 1, 1987. Fox Butterfield, “Arms for Hostages—Plain and Simple,” New York Times, November 27, 1988; Jim Lobe, “Shadowy Right Winger Urges Action on Iran,” Inter Press Service, June 25, 2003. See also Ledeen’s account, which he offered in his 1998 book Perilous Statecraft: An Insider’s Account of the Iran-Contra Affair (Charles Scribner’s Sons, 1988). See, for example, the Tower Commission’s report, available on the web site of the American Presidency Project,http://www.presidency.ucsb.edu/PS157/assignment%20files%20public/TOWER%20EXCERPTS.htm#PartI. For more on Ledeen’s track record, see Jim Lobe, “Veteran Neocon Adviser Moves on Iran,” Asia Times, June 26, 2003; and Anthony Gancarski, “Michael Ledeen on the Run,” Antiwar.com, August 22, 2003. Knut Royce and Timothy Phelps, “Arms Dealer in Talks with U.S. Officials about Iran,” Sydney Morning Herald, August 9, 2003. Joshua Micah Marshall, Laura Rozen, and Paul Glastris, “Iran-Contra II?” Washington Monthly, September 2004.